As a base I used the following recipe from Sainsbury’s website, you can see another great recipe here. Step 1: Preheat the oven to 160°C, fan 140°C, gas 3. Grease a 18cm square tin. Step 2: Place the butter, sugar and syrup into a saucepan and with an adult helping, melt over a moderate heat. Step 3: Remove from the heat and stir in the oats, apricots and sunflower seeds. Step 4: Pour the mixture into the square tin and press down with the back of a spoon.. Step 5: Carefully place in the oven using oven gloves and bake for 30 minutes until golden brown. Step 6: Remove from the oven and cut into 10 fingers and leave to cool in the tin. 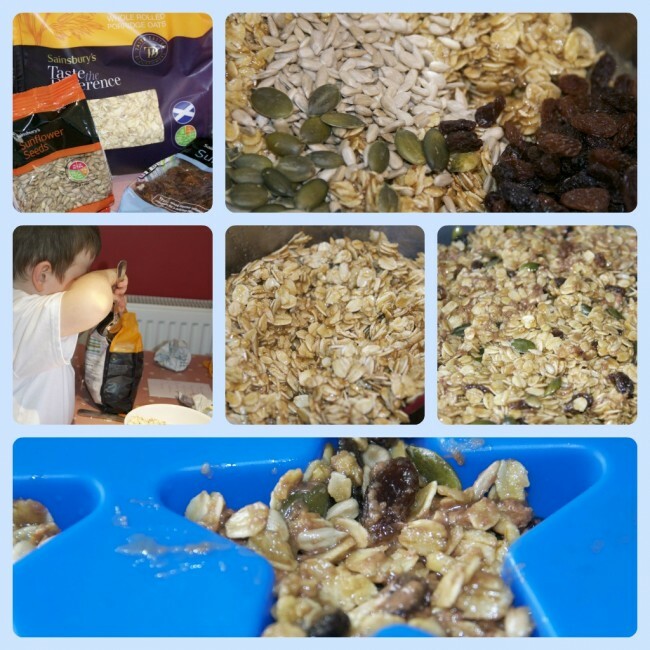 We decided to add a few additional ingredients, I used this as an opportunity to get some more fruit and seeds into the children. I added pumpkin seeds, some raisins and some sneaky chocolate chips. Daddy tried to get us to add some stem ginger, but we decided to try that another time as we weren’t so keen. I used our round tin for the majority of the flapjack mixture but as a reward for Z who has been Star of the Week at school I made a star. Sainsbury’s sent me a voucher to buy the ingredients for this challenge. Ooh they look good and love the star. I used cookie cutters with the kids before, but love the tray idea – less waste and neater! Lab it-ed and blogpinned. I love the idea of adding the seeds to these too, must try that. 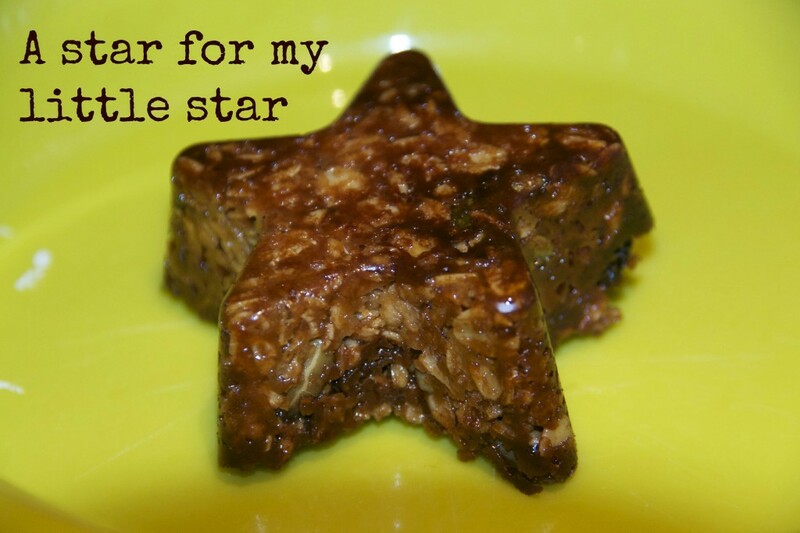 Great idea to use the star moulds too! 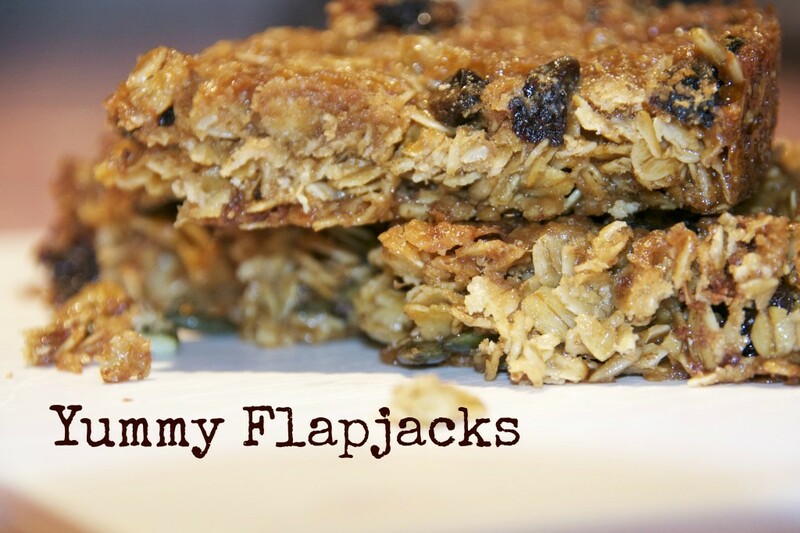 These look lovely, J decided he doesn’t like flapjack after all so I took the whole tray of mine to work! Sonia recently posted..The new me starts right here!